People with HIV (PWH) in Malaysia experience high levels of stigma, which may act as a barrier to accessing healthcare. Stigma against PWH in medical settings is understudied in Malaysia. In the present study, we examine factors associated with physicians’ intention to discriminate against PWH in Malaysia. A cross-sectional online survey was emailed to all 1431 physicians at two major university hospitals in Malaysia; 568 (39.6%) participants completed the survey and were included in this analysis. Measures included intention to discriminate against PWH, stigma-related constructs, and socio-demographic characteristics. Multivariate linear regression was used to identify factors associated with intention to discriminate against PWH. Participants were comprised of women (53.5%), Malays (43.1%), and Chinese (35.0%) with nearly 10 years of clinical experience. Most participants were from non-surgical specialties (77.6%). The final multivariate linear regression showed that physicians who expressed greater discriminatory intent against PWH also expressed more negative feelings toward PWH, more HIV-related shame, were more fearful of HIV, and believed that PWH do not deserve good care. Physicians from surgical-based specialties were also significantly more likely to endorse discriminatory intent toward PWH. Stigma and intentions to discriminate against a class of patients, including PWH, can undermine engagement in care, which is central to international HIV prevention and treatment strategies. Interventions that reduce stigma toward PWH among physicians are crucial to ensuring equitable and stigma-free healthcare. This research was funded by a University of Malaya Postgraduate Research Grant (PO059-2015B), Grants from the National Institute on Drug Abuse (K01 DA038529 for JAW, K01 DA042881 for VAE, and K24 DA017072 for FLA) and the Ministry of Higher Education High Impact Research Grant (E000001-200001 for AK). UNAIDS. UNAIDS Global AIDS Update 2016. 2016. http://www.unaids.org/sites/default/files/media_asset/global-AIDS-update-2016_en.pdf Accessed 11 Nov 2016. Ministry of Health Malaysia. The Global AIDS Response Progress Report 2016: Malaysia. 2016. http://www.moh.gov.my/images/gallery/Report/Malaysia%20GARPR%202016_Final.pdf Accessed 1 Sept 2018. World Health Organization. Guideline on when to start antiretroviral therapy and on pre-exposure prophylaxis for HIV. World Health Organization, Geneva, Switzerland. Retrieved December 20, 2016, from: http://www.who.int/hiv/pub/guidelines/earlyrelease-arv/en/2015. World Health Organization. Global HIV/AIDS Response: Epidemic update and health sector progress towards Universal Access: Progress report 2011. World Health Organization, Geneva, Switzerland. 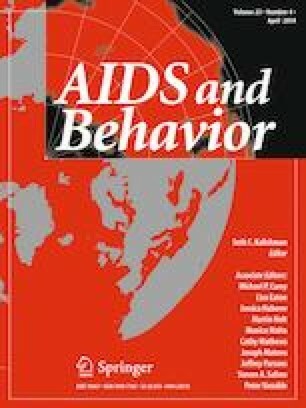 Retrieved February 20, 2016, http://www.who.int/hiv/pub/progress_report2011/en/2011.